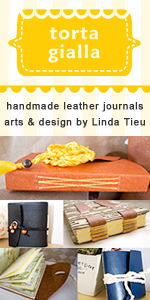 If you’re looking to reach a niche audience of enthusiastic artists and crafters, we can help. 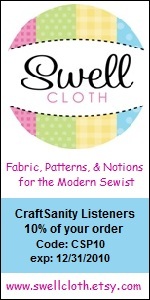 CraftSanity offers a variety of sponsorship opportunities for art and craft based businesses to help defray the cost of producing CraftSanity Magazine, podcast and blog. CraftSanity Magazine Ad: We offer a variety of options for ad placement in our independent quarterly magazine that is distributed in both print and PDF formats. Business card size ads are $37.50, quarter page ads are $75, half page ads are $150, full page ads are $300 and back cover ads are $400. 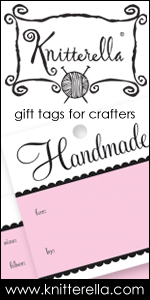 To place an ad, email sponsors@craftsanity.com. Podcast Ad: For $50 your website, blog, shop, publication, product or other creative venture will be mentioned on the podcast and a sidebar ad linking to your web site will be featured on CraftSanity for two weeks. Your link will also be added to the sponsorship page where it will remain indefinitely. If you would like to sponsor two or more shows, the rate drops to $40 per episode. Blog Ad: For $15 you get a sidebar ad with a link to your web site for a month. To learn more or place your ad, e-mail sponsors@craftsanity.com. If you don’t have a crafty business to advertise, you can support CraftSanity by buying a copy of CraftSanity Magazine or a CraftSanity loom. We also have T-shirts and buttons in the CraftSanity store. Thank you so much for your interest! You can check out our past sponsors listed below. 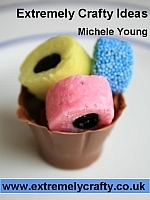 Many thanks to episode 124 sponsor Tea Times Creations! 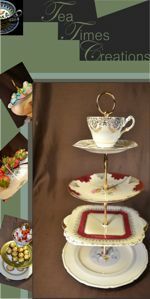 Be sure to check out this shop that features cake stands fashioned from primarily vintage china as well as supplies and drilling services for those of you who want to make your own stands. Please head over to Sheri’s Soap Opera, a West Michigan-based business featuring a fine selection of naturally made soaps and body products. From mint lip balms (my favorite!) 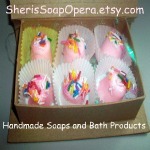 to shampoo bars, perfumes, fragrances and shower and wedding favors, Sheri offers a great selection of handmade products. And when she’s not making soap, Sheri like to do other crafts. Check out her other Etsy shop: Sheri’s Sew Crafty. You can visit Craft Leftovers just about every Monday, Wednesday, Friday and find something new to spark your curiosity and imagination. Generally, Mondays and Wednesday are a grab bag of topics on creative living and using up leftovers with some tutorials in the mix. Fridays she highlights a pattern, book or a pattern she has written. Swell Cloth offers fabric lines from today’s most well-known designers – Joel Dewberry, Amy Butler, and Anna Maria Horner, to name a few. Fabric is available by the yard, half yard, and fat quarter. Custom cuts are are welcomed. 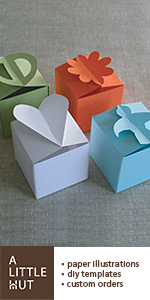 Fabric bundles – pre-assorted and custom – are priced just right, slightly less than purchasing individual cuts. 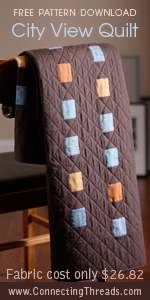 Swell Cloth was born out of a passion for sewing and quilting. In addition to her shop, Swell Cloth owner Sarah is the host of the Stash Resolution podcast and blog by the same name. 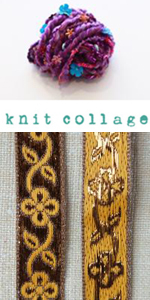 Stop by the shop and get inspired to stitch! 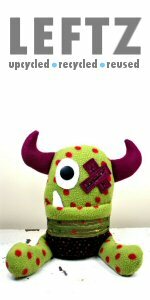 One-eyed plush creations, handmade with upcycled materials from thrift stores and yard sales. With the added charm of vintage trims, vintage buttons, and with their signature stuffing (recycled plastic shopping bags) LEFTZ are born. These Eco-friendly plush were just featured in Stuffed Magazine! You may ask yourself, “Why do they only have one eye?” Simple of course. Each plush receives a great big hug from Mary after completion. It’s such a big hug that one of their eyes just pops. Or it could be because she is left handed, She’s also heard it’s because she punches them. Whichever story you choose to believe is up to you. Amy is an American living in Hong Kong, where she has a small studio full of spinners that she taught to spin some of her designs. All the yarn has jazz in it, from angelina sparkely fibers to sequins and tiny crochet flowers. 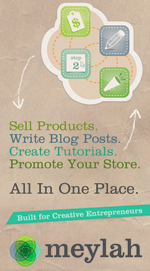 Meylah offers a place where you can sell your products, teach tutorials, and share your story all in one place. Meylah combines a simple online store, blogging system, and social media marketing features into an easy to use, all-inclusive platform, just for you. With Meylah, you can build your online presence in 15 minutes or less! AnniePurl is what happens when a girl obsessed with all things knitting knitting combines her love of fabric, sewing, and shiny things. At anniepurl.etsy.com you will find whimsical stitch markers, project bags of all kinds and tote bags made by a knitter with knitters in mind. Visit the workshops page for wonderful class offerings, teach your own workshop or use our virtual studio space to launch a creative dream or idea, sip life in the wishstudio virtual cafe, join a group project, read our collaborative blog, and get inspired to share your stories and creativity. 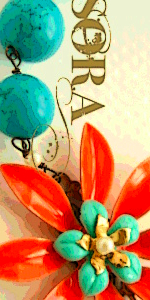 There is always something new happening over at the wishstudio… stop by today, and give your wishes wings! 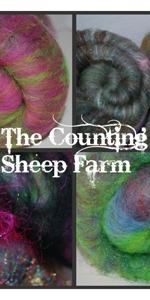 Check out Jennifer Forest’s confidentcrafts.com, featuring wet felting with merino wool tops and nuno felting with fabric and wool tops kits and projects. You can also learn more about Forest’s book, Jane Austen’s Sewing Box, at jennifer-forest.com. It explores the craft that Jane Austen’s characters and her friends/family did during the 1770s-1830s. Forest is a trained history teacher and curator, which is where this interest in historic crafts all started. Libby Dibby stuff and style is all about being inspired by the joy of color and pattern – and things that are both vintage and new. 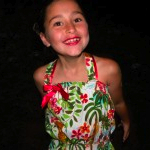 Liberty Worth draws inspiration from the things around her, scrap fabrics, creative kiddos, and amazing friends who keep their sense of wonder alive. You can find a few of the things (skirts, hand-stamped charms, baby slings and bags) at libertyworth.com, but the Etsy store also has all of the one of a kind objects that Liberty makes at home. The Libby Dibby blog is chock full of what inspires Liberty and ideas she shares with readers to do at home. Visit our sponsor Sora Designs, maker vintage inspired jewelry designs. 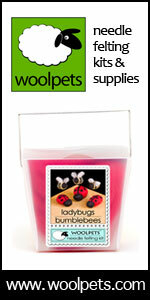 Sign up for a chance to win gift certificates to her shop on her Facebook fan page. Also check out her Etsy store and blog. Hunter at ViolentlyDomestic.com sells a variety of interesting sock patterns with names such as “slant,” “popped,” “dippers” and a bunch of words I can’t even pronounce, but it gives you idea of the creativity that Hunter puts behind her designs. Hunter is offering a giveaway at her site. Just go to ViolentlyDomestic.com and look for the post about CraftSanity and follow the instructions on how to enter the contest. 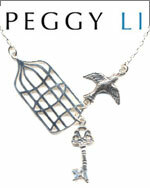 Peggy Li has been designing jewelry for more than 9 years. Her work has been featured on TV’s “Private Practice”, “Buffy, the Vampire Slayer”, in magazines such as Oprah and Lucky and more. She loves to create feminine, wearable designs. You can also follow her at twitter.com/plcpeggy and facebook.com/peggylicreations or read her blog (where she writes about running a small business) at peggyli.blogspot.com. 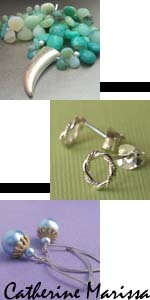 Rina Ward offers a variety of beautiful jewelry and jewelry kits at nostalgems.com. Nostalgems is offering another giveaway on its Facebook page. Become a fan of Nostalgems, and you could win a necklace kit. 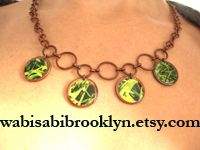 Sponsor MaryAnne LoVerme, owner of Wabisabi Brooklyn, is offering a jewelry giveaway this week. Sign up to be a fan of Wabisabi Brooklyn on Facebook and enter to win the random drawing for one of MaryAnne’s one-of-a-kind designs. Three winners will be picked, so head over there quick! Find out more about decoupaged penny earrings and more on the Wabisabi Brooklyn website, shop and Flickr page. FAQs about running a small business. Online store Nostalgems is hosting a contest on its Facebook page. 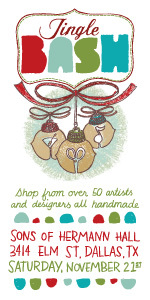 Check out the Jingle Bash being thrown by Etsy Dallas on Nov. 21. The event features quality handmade goods from over 50 local artists and designers, music, a full bar, free raffle, AND the first 50 shoppers will receive a silk screened reusable grocery tote full of handmade goodies. Admission is free. The Woman’s Industrial Exchange of Baltimore City is a non-profit that helps local people create, market, and sell their handmade items. It is well known for its gift shop at 333 N Charles St. in the Mount Vernon section of Baltimore, where it has been located since 1889. It is looking for new local crafters, and new customers from anywhere! Check out the website or call 410-685-4388. Rina Ward of Nostalgems is giving away two Brass Heart Initials Necklaces. To enter, visit Nostalgems’ Facebook page and add yourself as a fan and leave a comment here. Deadline to enter is Sept. 5 (but if you join her Facebook group, you’ll be alerted to future giveaways). Please also check out Nostalgems’ etsy shop and homepage. 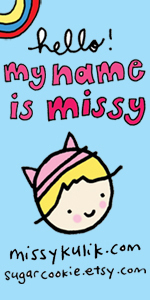 Missy Kulik makes comics, zines, and other handmade goodies. Check out her website at missykulik.com and Shop Sugar Cookie at sugarcookie.etsy.com and her blog at ranchococoa.blogspot.com. 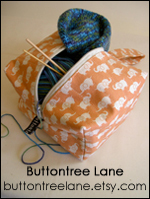 Buttontree Lane is crafty goodness created in Canberra, Australia. Using unique Australian screenprinted fabrics and cute Japanese prints, Buttontree Lane makes quilted pouches perfect for crafters, knitters and crocheters. Woodland-inspired needlebooks made from wool felt ensure that you’ll never lose your yarn or sewing needles again. All items are handmade with love and care. Shop at buttontreelane.etsy.com, and visit buttontreelane.blogspot.com for crafty inspiration and adventures. Be inspired by pages and pages of artistic inspiration and prompts designed to embrace your inner eccentric. 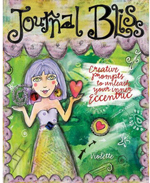 In “Journal Bliss”, join author Violette as she shares her illustrations, fonts, doodles, and soul-searching prompts – freeing you to start your own visual-journal journey. Express yourself openly in a style that is uplifting and fun! Visit violette.ca to get a copy of Violette’s book and while you’re there check out her blog, too! Check out solohandmade’s esty shop for a collection of pretty handmade items for baby, little ones and grownups created with practicality and simplicity in mind. Made with unique and beautiful fabric purchased from independent sellers. 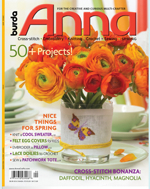 There are more than 50 projects in the Spring 2009 issue of Anna (for the creative and curious multi-crafter) in the five needleart categories of cross-stitch, embroidery, knitting, crochet, and sewing. Anna preserves traditional needlearts and brings them into the 21st century with fresh, modern designs. Learn about the lace knitting of Herbert Niebling. One design from the late master is featured in every issue. Spring 2009 features a garden of cross-stitch sets, with themes of butterflies, magnolias, hyacinths and daffodils. Sew patchwork heart sachets and a wall hanging, or whip up a sturdy patchwork tote with embroidered embellishments. 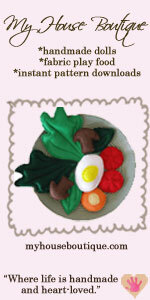 Let the kids help you make some easy felt egg warmers in the shape of crazy little barnyard animals. They’d make adorable finger puppets, too. Looking for some “vintage” lace crochet projects? There’s a beautiful filet crochet tablecloth, a trio of doilies and motif crochet projects for the kitchen. Those who love embroidery will find an opulently beaded and sequined pillow cover with an Arabian theme. A collection of very wearable and casual sweaters, 5 knitted and one crocheted, each with a very interesting technique or pattern stitch, rounds out the Spring offerings. Every issue comes with a huge, pull-out pattern insert, printed with sewing patterns, charts and diagrams to make every needlecrafting project a pleasure. 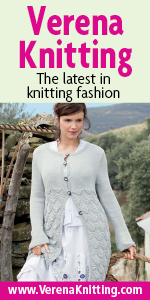 Verena Knitting’s spring issue is packed with 50 patterns that reflect today’s fashion trends. • Natural Beauty: Romantic knits in organic yarn—styles to put one in mind of a Jane Austen heroine. • Seville or Bust! Wild flamenco flavor in black, white and red—photographed on location in Spain. • Pure Chic: Sleek and sophisticated styles in grey and white. • Shades of Green: Tunics, boleros and mini-dresses in nature’s favorite color. • Go for Glamour: 8 garments in knitted lace with metallic accents. • Busy Kids: cardigans and sweaters for boys and girls with whimsical appliqués and embroidery—flowers for the girls and a funny monkey face for the boys. 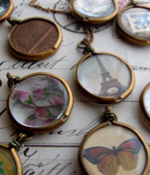 Nostalgems — Create heirloom-style charm jewelry as though you’ve unearthed them from your grandma’s jewelry box! Pendant kits, charm bracelets and necklaces with that vintage “je ne sais quoi”! And if you’re not in a crafty mood, you can check out Nostalgem’s completed designs. Go to Nostalgems.etsy.com or add yourself as a fan in their Facebook Page to get discounts and specials! 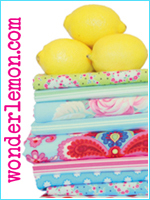 Wonderlemon Fabric & Crafts is a UK online retailer of designer fabrics for quilting and crafts featuring Amy Butler, Sandi Henderson, Michael Miller, Heather Bailey, Tanya Whelan and more! 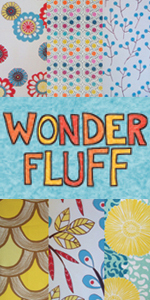 Visit www.wonderlemon.com for speedy UK/Europe delivery of lovely fabrics or visit wonderlemon.blogspot.com for crafty ramblings and Wonderlemons! Catherine Hodge is a talented jewelry designer who creates a lovely metal and beaded jewelry lines you can shop at www.catherinemarissa.com. Catherine also offers in-home jewelry shows, custom design, jewelry repair and redesign services. Mixtape is a maga(ZINE) about making time for the small things! Mixtape zine is a collision of craft, eco-cool and pop culture kitsch! Order your copy at www.mixtapezine.com. Traci Hudson is a crafty mama who explores the handmade world with her vivacious 2-year-old in Austin, Texas. Find instant sewing pattern downloads, handmade dolls and play food in her online shop, myhouseboutique.com, and crafty tidbits at her blog, myhouseboutique.typepad.com. Rina Ward is a New Zeeland-based mother of two and creator of Nostalgems, a lovely online shop featuring jewelry making kits, notions and curiosities. 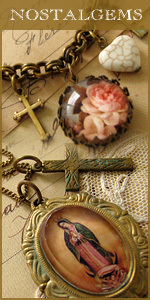 Create your own heirloom-worthy treasures as though you’ve unearthed them from your grandma’s jewelry box with the bits, bobs and timeworn treasures Rina offers at www.Nostalgems.etsy.com. 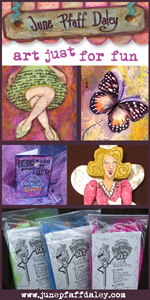 June is a freelance graphic designer and mixed media artist who enjoys creating a wide variety of whimsical and unique products along with original pieces. Visit June’s store at www.junepfaffdaley.etsy.com. For artsy inspiration, musings, projects and the latest studio happenings while raising three kids stop by June’s blog at www.junepfaffdaley.blogspot.com. 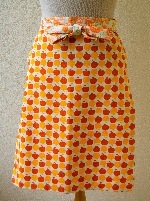 (Be sure to check out June’s apron art and quilting fabrics). 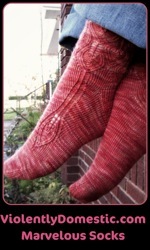 Thanks to Jill Zielinski of the Knitterella shop and blog for sponsoring episode 88. Jill specializes in unique stationery for knitters and crafters. 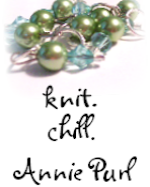 Visit www.knitterella.com for great stocking stuffer ideas, sweet stationery and one-of-a-kind gift tags to add a perfect finishing touch to your handmade gifts. Thanks to Megan Cooley for also sponsoring episode 88. Read her blog and check out her etsy shop at pennycarnival.etsy.com, where she sells handmade items for children. Thanks to Lisa Clarke for sponsoring episode 87. Check out Lisa’s jewelry, accessories and lovely designer buttons that at her Polka Dot Cottage shop and her blog at lisaclarke.net. 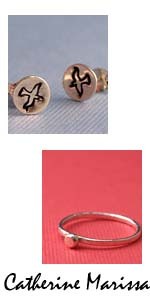 A special thanks to jewelry artist Catherine Hodge for sponsoring Episode 85 of CraftSanity. Shop her original line of jewelry and check out her blog. A special thanks to SprayPaint4Fabric for sponsoring Episode 84. Visit sprayapaint4fabric.com for more information on their products. Connecting Threads, which sponsored Episode 83, is a great source for quilting fabrics, patterns and supplies. 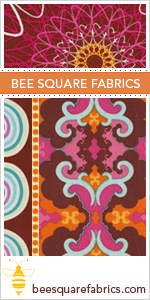 Fabrics start at $5.96 per yard. Be sure to check out their free beginner patterns. 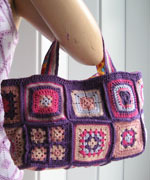 Check out crochet goods by Alessandra Hayden. She helped sponsor Episode 82. 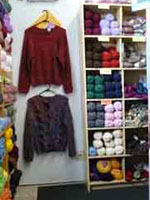 Check out Sheri Anderson’s store, Designer Yarn, in Sandy, Oregon. Sheri helped sponsor Episode 82. Thanks to David and Tina Lindquist for sponsoring show 81. Check out David’s woodwork and Tina’s blog. Also thanks to independent graphic designer Patricia Zapata for sponsoring show 81. Thanks to Jennifer Porter for sponsoring episode 79. Check out her blog and Etsy shop. Thanks to Jennifer Maroney for sponsoring episode 74. Check out this painter’s blog and Etsy shop.